Not everyone can handle what you say across from the pulpit. From being accused of plagiarism (yes, again) to being accused of not remaining biblically accurate, I got the whole gamut of concerns surrounding my sermon. In a nutshell, I preached the topic “Don’t Make the Cave Your Community” from 1 Kings 19:1-10 (I wonder who’s going to steal this topic since I’ve put it online) and essentially the thrust of my sermon was that in the midst of a post-modern society that seems to be interested in the plurality of points of view, we as ministers must not get frustrated and run off to the cave and that we must seek to find ways to remain relevant to the community in which we were called to do effective ministry. Yes, I had some zingers such as the hook from Drake’s “Successful” and yes, I did say “hoes.” And there was the other quote that I alleged that ministers who run off and make a community out of the cave and who talk amongst themselves and fail to engage in the community that they surround they’re doing nothing more than “theological and intellectual masturbation.” But zingers or not, they were germane to my topic. 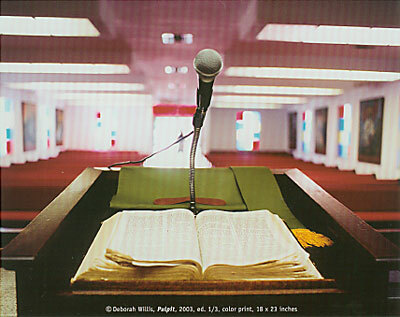 My approach to preaching is to inform the consciousness of the listener. I don’t want my preaching to do nothing more than maintain the conscious of the listener but rather encourage them to have an encounter with the Divine in perhaps ways that they perhaps might not have been aware of. Granted much of my sermon was typical social justice preaching–I mentioned healthcare three times in my sermon, I mentioned homosexuality twice, I highlighted HIV/AIDS in sub-Saharan Africa and even broached the topic of abortion. That being said, I was quite clear that I was addressing issues here in the physical realm. So, I had one friend that took the “priestly” role as far as I see it. That is he asked why didn’t I address the spiritual concerns more or less surrounding Yahweh versus Ba’al in the passage and that essentially I used the text as a spring board to address some issues. Well, yes, I was quite aware of that. But is that not what every preacher does? I think the issue comes in as far as what issues are being addressed. I daresay that generally in the preaching moment we expect to have issues of spirituality addressed and tie them into concrete examples of how we should apply them. Perhaps it was because this was the first time I had to write two sermons at once and in the other sermon I was taking the stand point of not always theologizing the biblical text for the sake of making the Christian story work, that lead me to stray away from the easy out as far as sermon preparation is concerned. Theologizing the text is easy. Your average person at home in their own quiet time can do it, however, I think it stretches our realm of God when we seek to find other avenues in which to encounter God. The east out as far as this biblical passage would have been that we as ministers need to tear down the false gods and get back to Yahweh which is the only true God. And I could have easily highlighted spiritual warfare of fighting Yahweh against Ba’al and so and so forth. That would have been easy, but at the end of the day, given the nature of my social issues that I did highlight, just how were those going to be addressed or even have their issues being raised. Fact of the matter is that there is enough preaching out there that does the confessional approach to the bible, I prefer to take a bit more iconoclastic approach that destroys our typical images because in fact we begin to worship the religion and not have a relationship with God. Also at play for me is that the Bible is not authoritative to me in the traditional sense. I hope that sentence doesn’t come back to haunt me in the future come time for ordination somewhere, but at least for now, it’s not. To borrow a turn of a phrase another close friend told me, the Bible is only authoritative as it intersects the primary text of our own human lives. That is to say that the Bible has many nice, good and quite helpful things to offer, but to go so far as to say that the Bible is the primary guiding factor in my life would be a gross miscalculation of who I am and who I be. So it was quite easy for me to find a topic first as far as this sermon was concerned and then find a biblical passage that could support some of my ideas I had rattling around. I don’t do that all the time, there are some passages that “preach themselves” so to speak, but then I have no problem with taking a topic and using a scripture to support it. Some call that “prooftexting” particularly when certain circles of preachers criticize those who preach a prosperity gospel. I said all that to say that I stand by the sermon that I preached and it’s theological, intellectual and God-centered integrity. And indeed since I identify myself in as an iconoclastic preacher (already at the age of 25), I would quite easily fall into the prophetic tradition. The prophetic tradition is based off of the Hebrew Bible understanding that the prophets, particularly what the Old Testament refers to as the major and minor prophets from Isaiah through Malachi all had a “thus saith the Lord” message that challenged the tradition and called out the people of Israel on their particularities that separated them from Yahweh and also on some social-economic issues as well. Among the most famous is Amos who issues a “woe to those in ease at Zion” and famous for his oracle against the various religious practices and festivals that don’t impress God, but rather attempting to change their way of life. But famous among the various prophetic oracles through this corpus of writings of the Nevi’im (the prophets) is the fact that many of them are chastising priests for their practices. Well, let’s be aware that priests are those that maintain the temple and are in charge of the burning of the offerings that are given over by the people to be offered up to God. Now granted the priests lived mainly off of the offerings given over to Temple, but still throughout these “minor” prophets there are the prophets scolding the priests for not holding up their end of the bargain–particularly in Malachi 2 and 3 where the prophet is scolding the priests for not bringing in their tithes and not the people–despite what we get taught on Sunday mornings. As a result you have the prophets versus the priests. The prophets are speaking out a contrary word while the priests are trying to maintain a Temple system that may benefit them if they choose to. So now you have in the twenty-first century those that pose the pastor as the priest and the tension of whether the pastor stands in the priestly tradition or the prophetic tradition. It’s not an easy call. Those that stand in the priestly tradition at minimum perpetuate the Temple system, or in modern terms, support the institutions of the church. By nature of it being an institution there are many tacit assumptions that just go without saying. The prophet is the one that criticizes the social and theological ramifications of said system as to whether or not they are helping or hindering the relationship to God concerning the masses. Well, I tend to push it a bit further and look through the paradigm that we’ve been doing the same thing for a long time and nothing has changed. Once we examine it, the root of what we’re pushing, this Jesus Christ issue, has not changed for some time. While the traditional theology may have worked in the past, what we’re trying to change doesn’t seem to be responding to us merely repackaging the core message. I’m all for changing the core message, but of course most rebuff at that for a plethora of reasons and with a myriad of rebuttals. All of that aside, I must ask the question in what tradition to do you identify with the most? You are going to be alright at spreading god’s word.If you want to do it right listen to your heart and let the nay-sayers be! Critical thinking is less allowed in priestly (status quo)preaching than in prophetic preaching? It seems that prophetic preaching is needed to urge Christians toward ‘doing’ theology rather than ‘knowing scripture.’ Wisdom comes from understanding of what is holy and righteous while developing a vertical relationship with God the Father. It would be difficult to prophetically preach without wisdom. It might be simpler (easy) to go the route of priestly traditions (the Pharisees in the NT). God does expect us to love one another which is the basis for a social justice focus on ‘doing’ theology where we ‘be’ in the mean-and-in-between-times. Obeying the law while denying the implications of the spirit of law borders or blasphemy at worst and abomination at best. 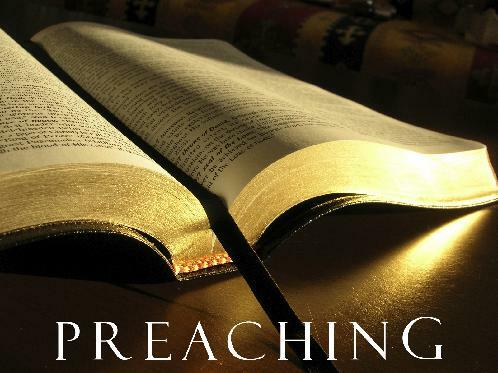 Preaching, IMHO, by nature is probably painfully uppity to the doers and hearers of the word. I don’t really get into tradition. I believe in following God and doing what He gives and commands me to do despite who likes it or not. As a musician and gospel singer also a vessel in Christ (I’m not a minister or prophet or anything) when God gives you a word for the people that they may not like you have to give it. God will validate you. We must rightly divide the word of God always. Hey friend. When you decide to admit your sexuality and embrace who you truly are, then you can change the world with your words. If you’re interested, I’d like to have a rebuttal guest column from you at my blog that deals with the recent discusssion “The Broken Bridge: Black Gays and The Black Church”. There is a third way. Using the prophetic critique of the biblical text to critique the injustice of the world. Granted, I did not hear the sermon. However, if you had made the clear connection between the injustices of this world and the worship of Ba’al–like the economic impact of Ba’al worship on Israel and the economic impact of “(pick your evil)” worship on Black America. Then you can move from making that parallel to your argument. I like your title and the idea behind it. But I think the dichtomony between priestly and prophetic preaching is a false one. Say more about the false dichotomy between priestly and prophetic preaching. Amazing, I did not know about that up to the present. Thx. I have read most of what is written – and as young black women based in S.A – I only ask what the relevancy of the bible (even God himself) is to the black people. firstly the bible rejects black and women – so as a black women i experience double jeopardy. i lack the evidence of christianity other than the literal translations that i have come to witness in townships. so, my concerns are more directed at – how do contemporary black women expirience religion – how do they position themselfs or rather how are they positioned? well, thats it for now – there is more but i will keep it at this length. where in the bible are blacks rejected and women. As far as I know King Solomon was black but yet he was king..yes in that time period Women were viewed to be submissive but yet through out the bible women have played very important roles…God blessed Saras barren womb to birth a promised children, Hannah opened her house to the prophet and her faith healed her son, God used Esther and made her a queen to save his people….ummm lets see God used both Elizabeth and Mary as vessels to accomplish His will….who was the first woman to see the resurrected Savior??? Shall I continue? in the bible then the modern woman today would have no role in the church whatsoever. WOW we need more preachers like you 🙂 I almost gave up on preachers. Where is your church?